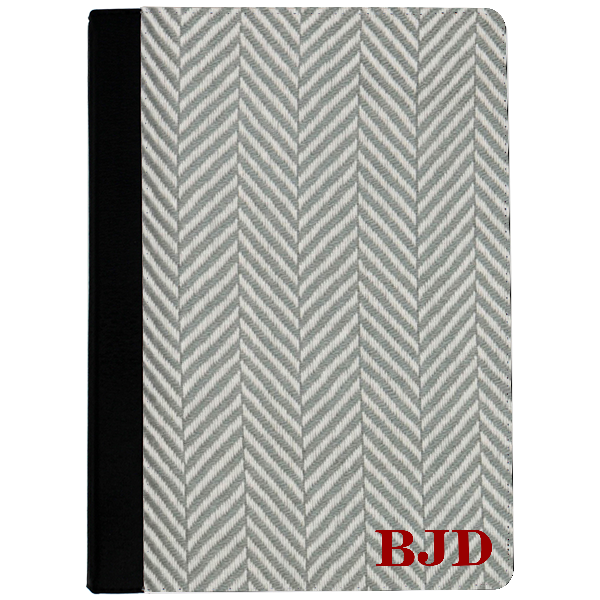 Perfect for the man in your life, our Herringbone iPad Air Case will protect his iPad while personalization will help separate his from a sea of dull, basic iPad cases. Perfect for the man in your life, our Herringbone iPad Air Case will protect his iPad while personalization will help separate his from a sea of dull, basic iPad cases. Our case measures approximately 10"x7.25" so it fits many types and sizes of laptop. Our products are made in the USA. Add a monogram for an extra touch of personalisation.